A Second chance doesn’t mean anything if you haven’t learned from your first MISTAKE. 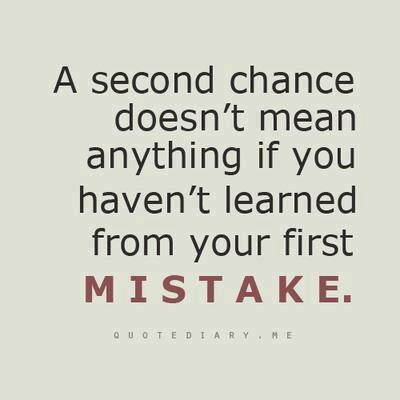 Quote : A Second chance doesn’t mean anything if you haven’t learned from your first MISTAKE. This entry was posted in Uncategorized on July 31, 2014 by narongt1979.